Pinchot and Avi Savitsky ’93YC met when they roomed together during their post-high school year at Ohr Yerushalayim, a yeshiva in Israel, before attending Yeshiva University. “I felt YU would help strengthen my religious foundation in the face of the challenges that would come as I entered my career,” said Pinchot. While at YU, Pinchot was lucky enough to secure an internship with MGM Studios in New York to write a screenplay with a producer there. “I probably spent a little too much time writing the script and not enough time on my school work that year, but it launched me into the industry,” he said. Years later and coming off an associate producing role with the hit documentary, The Life and Times of Hank Greenberg, Pinchot produced the popular 2004 film Paper Clips with the Virginia-based production company the Johnson Group, with Savitsky serving as an associate producer. Paper Clips received critical acclaim and was distributed by Miramax and bought by HBO. CCE’s most recent project is Follow Me: The Yoni Netanyahu Story, which premiered in January 2012 at the New York Jewish Film Festival and went into wider theatrical release this spring. Both Pinchot and Savitsky, who have sons named Yoni in honor of Netanyahu, count Follow Me among their most personally meaningful projects. Pinchot’s co-director on the film, Jonathan Gruber, is a graduate of YUHSB. 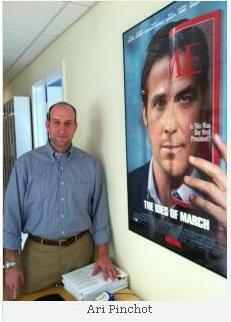 CCE is one of the production companies involved in the award-winning The Ides of March, starring George Clooney. Pinchot lives in Silver Spring, MD, with his wife, Rachel, and their four children, while Savitsky lives on Long Island with his wife, Cheryl, and their four sons. Adena Rohatiner ’06S was like most little girls who loved pretty dresses, but unlike most little girls, she decided at that young age that she would one day forge a career in fashion. Today, Rohatiner is the official stylist for Hollywood personality Maria Menounos, the fashionable co-anchor of Extra who is frequently lauded by magazines and blogs for her on-point sense of style—in no small part thanks to Rohatiner’s touch. Rohatiner, who uses her maiden name professionally, knew that if she wanted to succeed, she’d need to start early. She worked in various summer internships while still in high school. “When it came time for college, I decided to attend Stern College for Women because I was considering pursuing its joint program with the Fashion Institute of Technology [FIT],” said Rohatiner. Deciding not to pursue the joint degree with FIT, but still set on her fashion goals, Rohatiner interned at Glamour magazine. She also worked at Teri Jon, the fashion house headed by Rickie Freeman-Platt, the mother of two Stern alumnae and a member of the Stern College for Women Board of Overseers. “My last semester at Stern, I got an internship working for Rachel Zoe [a fashion stylist with her own reality TV show], which helped me realize that I absolutely wanted to work in the stylist part of the fashion industry. I love being able to dictate someone’s look,” said Rohatiner. Rohatiner then moved home to Los Angeles to work for Estee Stanley and Christina Ehrlich, fashion stylists who headed the Miss Davenporte clothing line. When the duo split up, Rohatiner followed Stanley to her solo business, where, together, they styled celebrities like Lea Michele and Jessica Biel. “Fashion is a fun but stressful industry. There were many times where I was glued to my BlackBerry, and my husband urged me to relax because I was so stressed out,” said Rohatiner, who is married to Jordan Frenkel ’02SB and gave birth to their daughter, Ayla, last year. “After I had Ayla, I knew I couldn’t keep up the pace of working on such an intense fashion line,” said Rohatiner. Luckily for her, Menounos was in the market for a good stylist and Zoe recommended Rohatiner. “Being at Stern taught me that one can balance a religious life with a career,” added Rohatiner. And the job of styling Maria for Extra is much friendlier to Rohatiner’s schedule as a mother. “I usually leave work by 3 or 4 p.m. and can often take Ayla with me when I am running fashion-related errands out of the office,” she explained. Rohatiner plans to develop her own fashion line and business, where she can style more celebrities. Cory Richman ’95YUHS, ’99SB works in an industry that never sleeps; yet, as an observant Jew, he has still found success as a talent agent who is Shabbat observant and, therefore, unreachable to his celebrity clients for 24 hours each week. “Sometimes I wonder, when I’m about to shut down my phone and e-mail for Shabbos, why my clients would want to sign with an agent who they can’t contact for a big part of the weekend,” said Richman. “It turns out, though, that a lot of my clients respect my beliefs and my dedication to my religion.” One of Richman’s clients, Anna Chlumsky, a child actress who starred in the popular film My Girl, is a devout Christian, and when she found a 2006 Jewish Week article that profiled Richman, she was impressed with his dedication to Judaism. 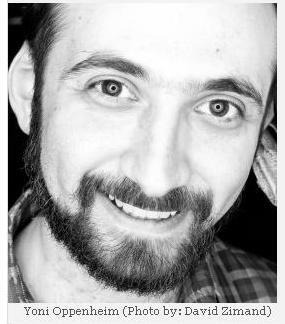 So how did a nice Jewish boy get to work with some of the biggest stars in Hollywood like legendary actress Lauren Bacall, and at the same time, continue to observe halacha? Richman veered to internships in the entertainment industry, and secured gigs at DreamWorks Pictures, Warner Brothers, Aaron Spelling’s Manhattan office and Miramax Films. With all that experience under his belt, Richman figured finding a full-time job in the industry would be easy, but when he sent out his resume to every talent and management company in New York, he got no bites. Eventually, an offer came from the William Morris Agency (now William Morris Endeavor), one of the largest and most prestigious talent agencies in the world, and Richman was admitted to their agent training program. “I explained it to my parents as the Goldman Sachs of Hollywood,” explained Richman, laughing. He soon worked his way into their talent department. Richman lives in New Jersey with his wife and three sons. In 2010, the duo, along with friend Jesse Freedman, co-founded 24/6: A Jewish Theatre Company, which showcases the work of Shabbat-observant artists—the first company of its kind in New York. 24/6 debuted at the Sixth Street Community Synagogue in the East Village with, appropriately, The Sabbath Variations: The Splendor of Space, a collection of six short plays inspired by Rabbi Abraham Joshua Heschel’s writings on the Sabbath. All of 24/6’s works are inspired by Jewish themes. Soroka and Oppenheim say that while 24/6 is a full-time job, it doesn’t pay the bills. “I think of us as theater entrepreneurs. We’re dedicating a lot to 24/6 because we believe it has enormous potential for the Jewish community,” said Oppenheim, who works a variety of freelance arts-related jobs while being a stay-at-home dad to his one–year–old daughter. Soroka works in Manhattan’s diamond district. Recent 24/6 projects include a rerun of the successful Purim-themed adaptation of Ibsen’s A Doll’s House and participation in SHINSAI: Theaters for Japan, to commemorate the one-year anniversary of the devastating earthquake. 24/6 has been in residence at the Sixth Street Community Synagogue since August, presenting plays like Brooklyn Boy and original pieces from young up-and-coming playwrights. 24/6 will soon relaunch the shomer Shabbat improvisational comedy group “Improvodox” as its improv wing. YU students and alumni with a comedic side are invited to get involved; learn more at www.twentyfoursix.weebly.com. Amy Gordon Guterson ’88S was Stern College for Women’s first theater major, and though most students probably would not want to serve as a guinea pig, Guterson’s success, both on stage and off, should be a source of comfort for any pioneer. “Although there were more expansive fine arts programs at other universities, I knew the environment at Stern would allow me to maintain my Orthodoxy while I studied theater,” Guterson said. Guterson became involved with the drama society right away, and says she learned a lot about the numerous roles—including stage managing, directing, and acting—that go into making a successful play. “I didn’t know how I was going to pursue theater as an observant woman, but I knew somehow I would,” Guterson said. “My mentor at Stern was [associate professor of speech and drama] Peninnah Schram, and she remains my mentor to this day.” After graduating from Stern, Guterson began going on many auditions and acted in off-Broadway plays, including Jewish repertory, Yiddish and classical theater, which earned her an Actor’s Equity Card. She studied acting with acclaimed actress and teacher Uta Hagen, and then went on to earn her graduate-level degree in acting from The New Actor’s Workshop. Guterson soon felt, however, that despite being at the top of her professional game, something was amiss. “So here I was, having spent all this time developing my acting skills, when I discovered that what was really missing from my life was my connection to God,” recalled Guterson, who had drifted away from Orthodoxy during her acting stints. 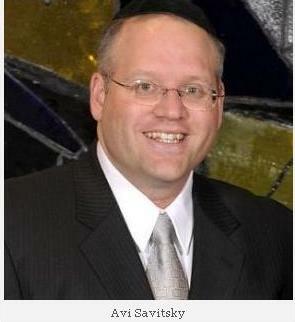 Soon after, Guterson met and married her husband, Dr. John Guterson ’87E, a ba’al teshuva (returnee to the faith) through Chabad. She began learning Chassidic teachings and felt certain that she, too, could utilize her talents while maintaining her Torah Judaism. They moved to Pittsburgh, and Guterson co-founded the Kol Isha theater company, served as its artistic director and joined the Pittsburgh Playback Theatre. More recently, she became a board member of ATARA, the Arts and Torah Association for Religious Artists, and made the award-winning film Becoming Rachel. 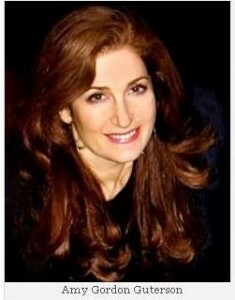 Guterson founded Tzohar Seminary for Chassidus and the Arts in fall 2011; she also serves as its director. “At Tzohar Seminary, post-high school students study Chassidus, which, in turn, illuminates the study of the arts, including writing, music, dance, fine arts, theater and filmmaking,” said Guterson proudly. Aside from inspiring scores of young women with her visionary role, Guterson has inspired one young woman very close to home: her daughter, Tanya, who will be attending Stern College for Women this coming fall, where she plans to major in music. To read about other accomplished and inspirational YU graduates, visit yu.edu/alumni/profiles; or, to share your own achievements, submit a Class Note at yu.edu/alumni/notes.